Contributed by Proinnsias Breathnach, Not your average biker is another in our series of occasional features. Proinnsias has a background in information technology and has served on the MAG Ireland executive for a number of years. This article originally appeared in the September 2015 issue of Bike Buyers Guide, through which MAG Ireland has been afforded the opportunity to explore some of the challenges facing riders today. There, I’ve said it! Truth is, I’m a relative newbie who only took to motorcycling as a method of reducing a two hour cross-city commute. At the high end of the Celtic Tiger, just as things were getting, ahem, interesting, I had “the talk” with my darling wife and mother of my children. Yes dear, I understand there are risks involved. No dear, I will not become another statistic. Yes dear, the time I win back will be spent with the children in the mornings and evenings… we’ve all been there on some level. That conversation paled into insignificance when compared with the follow-up talk with “the mammy”. Like many Irish mammies, she has an instinctive fear of motorised single-track vehicles owing to growing up in the sixties and seventies, working in A&E and seeing one too many bikers come in for a patch-up. That said, she had been softened up by the fact that, as a teenager, my little brother had a 50cc Yamaha two-stroke to allow him get to college – and he had survived! Before I left the comfort of my large family car and took to two wheels, I did what many new riders today do, I searched the interwebs and found some online forums with threads discussing how to get started. The impending and dreaded IBT was a common topic, though I couldn’t understand why someone wouldn’t want training. I learned about a group called MAG Ireland – although their website was a disaster and didn’t really inspire anything resembling confidence. I learned what was needed to get started at the time, what it would cost and who might insure me. Then I met a real-life biker, a seemingly normal colleague saw me searching and started a conversation… no obvious tattoos, no beard (no hair at all!) – and a PhD in something-or-other. Over the next few months, I did things a little backwards. 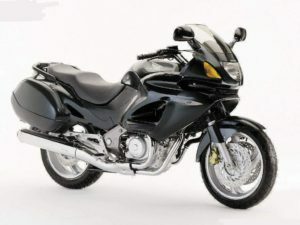 I figured out the type of bike that would suite my needs and on which I would likely get insurance (a 650 Deauville). Then I bought one despite knowing nothing much about bikes and never having thrown my leg over one. My new biker friend did me a favour and delivered it to my house one wet evening, commenting that it was more fun than he imagined it would be. Only then did I apply for my theory test and eventually my learner permit. 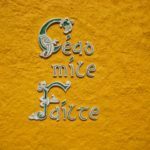 Once the paperwork was sorted, my adventure continued – my first lesson on a 250cc Honda in a Wicklow carpark, in hailstones! I kept meeting random new people who would guide me through my first few tortured miles. Stalling and dropping a 250kg bike at a junction with a car behind me, that first white-knuckle commute through Dublin rush hour traffic. 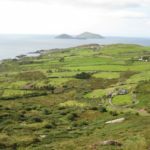 Then the curve-ball, I was invited to join my colleague and a group of his friends on a ride South on what would later become the Wild Atlantic Way, from Ballyvaughan in North Clare to Baltimore in West Cork, in one weekend. If I’m honest, the thought of it petrified me on one level and excited me on another. Would I be able for it? Would I just be holding the guys up? Would I end up binning the bike on loose-chipping covered twisties? What I found was a bunch of guys, all patient and friendly, more than willing to impart tips and knowledge about all things motorcycling. Over the course of the weekend I learned to understand the realities of counter steering, that my tyres have far more grip than I’ll ever have talent (or bravery!) and that eight hours saddle time in a day is more than enough for anyone! Over the few short years I’ve been riding bikes, I’ve been welcomed by many different groups across the spectrum – learning from newfound friends, who proved how welcoming and diverse a group motorcyclists can be, to hanging out with back-patch club riders at the Rockin’ Road Festival in the grounds of the National Education Centre for Blind Children in Drumcondra, to racing fans in both Mondello and Skerries. Then there are the contradictions. I’m often told that I’m not a “proper biker” – I don’t ride a Cruiser bedecked with chrome, or should it be a litre-class sports bike? I ride in the rain and snow, and don’t hate “cagers”. Commuters should filter along bus lanes and play chicken with breakfast roll munching phone wielding van drivers around the M50 ?? I’m no saint, but I do at least have some remaining sense of self-preservation. The people watcher in me sees the differences between the groups, as each stake their claim to being the true face of motorcycling, all welcoming me into their midst, all representing distinct facets of the motorcycling culture on this island. Maybe this was what drove me ultimately to join, and then become involved with MAG Ireland. Because we try to represent all riders, we’ll always be wrong in someone’s eyes. One of our biggest challenges is being seen by our own community. Like many jobs, if we’re doing it right you’ll never know we’ve been involved. Quiet, civilised conversations heading off ill-advised proposals long before they see the light of day will never make the headlines. Nor indeed will the months of meetings, and complex legal frameworks that resulted in the announcement about Waterford becoming Ireland’s first officially “motorcycle friendly” county. Ultimately, any voluntary organisation is only as good as its members, and those willing to put in time and effort to effect change for the better. We’ve been lucky in MAG Ireland that a considerable number of talented people have come on board over the years, from graphic designers to computer literate folk who brought us into the 21st century. Eventually though, people’s interest in running a voluntary organisation wanes, and new blood is needed. People who can see beyond the clichéd images of bikers, who can mix with – and work for – all motorcyclists from the 50cc scooter rider to the guy on the 2.3 litre Triumph. In essence “Not your average biker”. Is that you? If you or someone you know has a passion for motorcycling in any of its many forms, MAG Ireland (The Irish Motorcyclists’ Association) has opportunities for volunteers to help promote and protect Irish motorcycling. E-mail us on office@magireland.org or alternatively lend your support by joining us as a member.